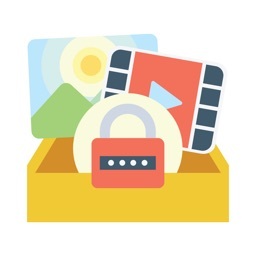 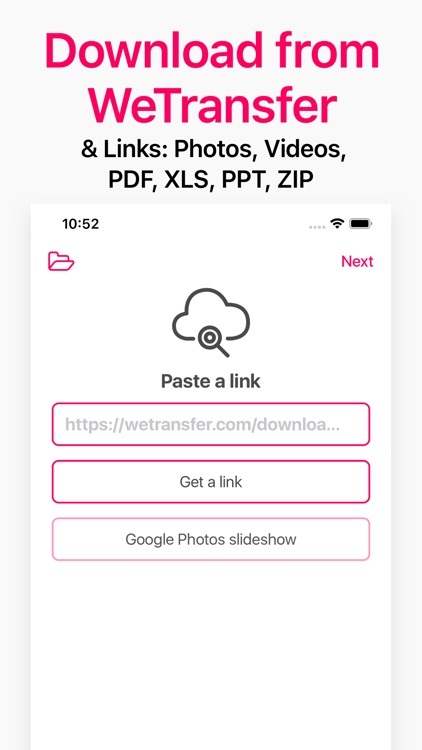 Downloads *WeTransfer* & ZIP files, and saves the photos, videos, PDFs, and documents they contain. 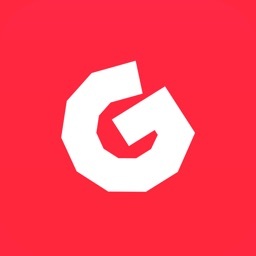 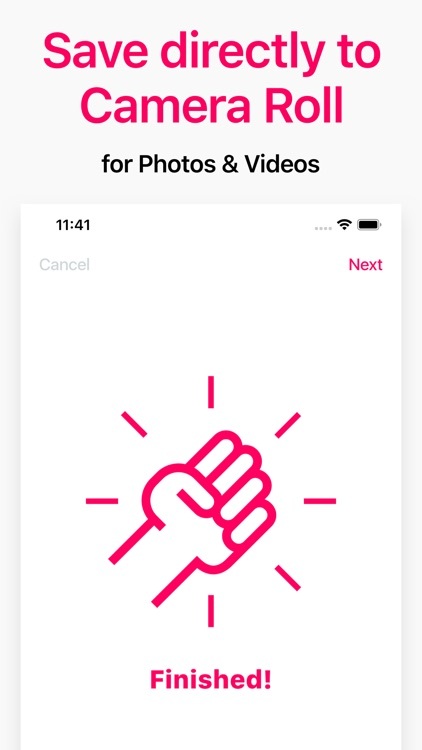 Photos & videos are saved in the Camera Roll. 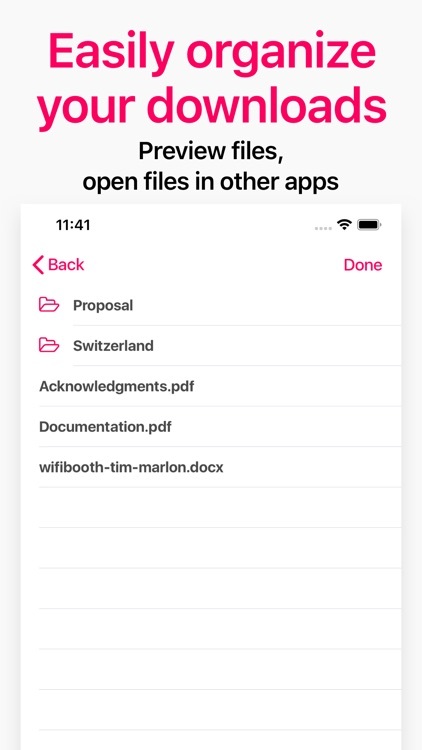 Documents including PDF, DOC, XLS, PPT can be viewed directly in the app. 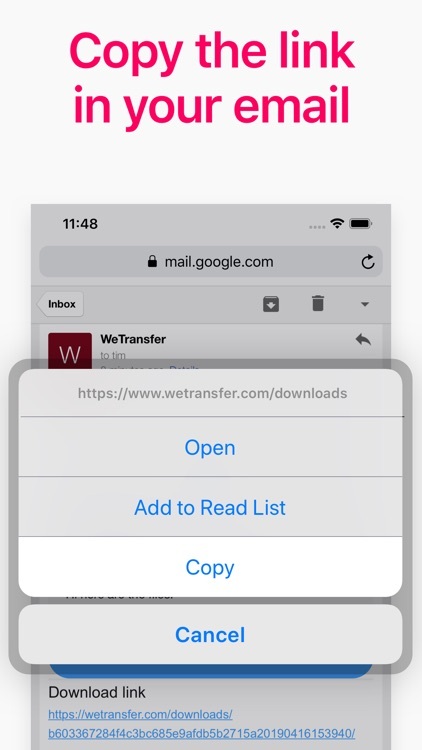 Paste in a WeTransfer or any http(s) link, and you're done. 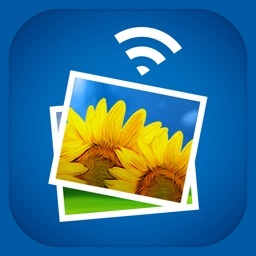 Did someone send you a WeTransfer with awesome photos in it, but all you have on you is your iPad or iPhone? 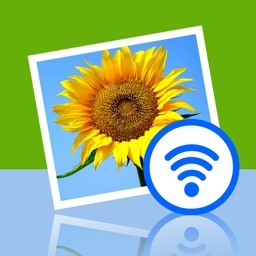 No worries: use this app to download and save those photos now! 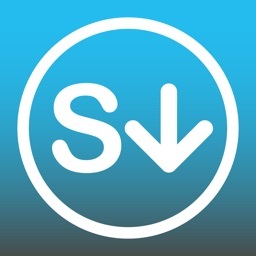 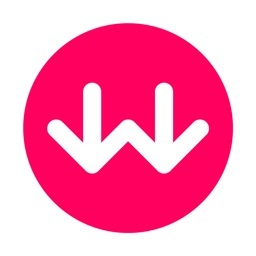 Please note that this app is written & maintained by a fan of WeTransfer, not the company that provides the service. 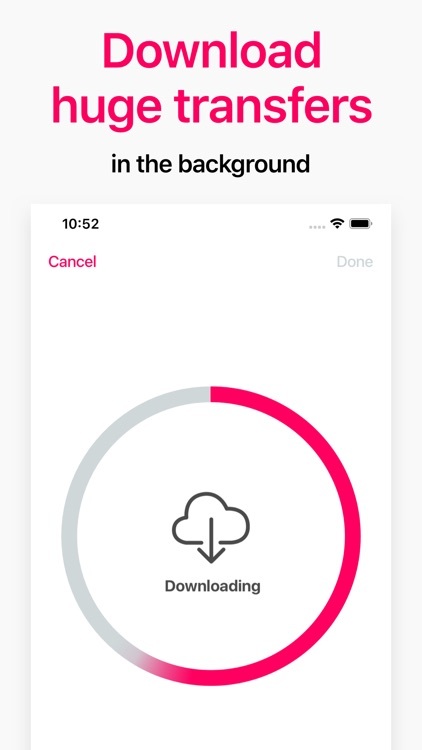 It only downloads (please use the official WeTransfer app for uploads).